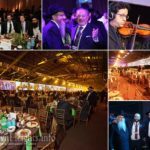 One of the highlights of the annual Kinus HaShluchim, the gala banquet, has found itself a new home. 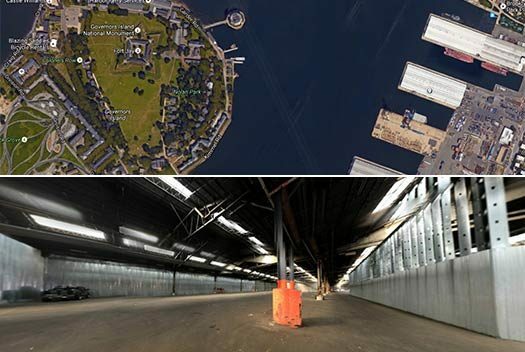 This year’s banquet will be held at Brooklyn’s spacious Pier 8, directly across from Governors Island and overlooking the New York City Skyline. Kinus organizers are enthusiastic about the new venue, anticipating it will provide for a more spacious and comfortable banquet experience. 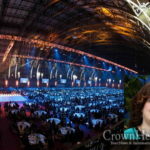 “The banquet is the highlight of the Kinus,” said Rabbi Shneur Najar, coordinator of the annual Kinus. “The numbers continue to grow each year, and we need to keep reworking the logistics to be able to accommodate”. “This year promises to be the biggest banquet yet” he said. The new venue is easily accessible from Crown Heights, both by car and public transport, making it easier for Shluchim and Baalei Batim to attend. Preparation has been well underway for the Kinus, with a dedicated team of Shluchim working tirelessly on the programming, workshops, and logistics in anticipation of this special event. The theme of this year’s Kinus will focus on a Shliach’s hiskashrus to the Rebbe, and the important role hiskashrus plays in the success of Shlichus. “The Rebbe often repeated the story of R’ Meir Premishlan climbing the icy mountain,” said Rabbi Moshe Kotlarsky, Vice Chairman of Merkos L’Inyonei Chinuch. “When one is connected above they cannot fall below. 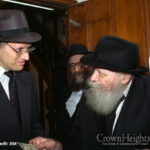 When a Shliach’s connection to the Rebbe is steadfast, he is assured he will be continuously climbing upward”. Registration for the Kinus will open next week – Monday, 29 Tishrei – October 31 at 2:00pm EDT., allowing Shluchim to reserve seats at the banquet, register for workshops, and book spaces for Baalei Battim. A detailed Kinus schedule has been made available to all Shluchim as well, in order to allow them to best maximize their time in Crown Heights. “The Kinus is the highlight of the year for many Shluchim,” said Rabbi Kotlarsky. “It’s a really special time, and we hope to provide the Shluchim with a truly meaningful experience”. Click here for a 360 view of the new venue.